The Malta Classic formerly the Mdina Grand Prix still supports the old cars but has a new fresh look this year. The Malta Classic is a four-day classic car and lifestyle event celebrating vintage style against a historic backdrop. A new brand and enhancements to the event programme are intended to raise the profile of this event in Malta and beyond. This prestigious event now entering its sixth consecutive year will be held between the 6-9th October. This four-day event offers a thrilling and entertaining programme for enthusiasts, families and foreign visitors. On Thursday, 6th October the Malta Classic opens with the Hill Climb. “The Pennellu hill has been chosen again as a venue for the hillclimb, after which we will be having a party for visiting overseas drivers in Mellieha,” said Charles A. Zahra, Secretary of the Valletta Grand Prix Foundation. 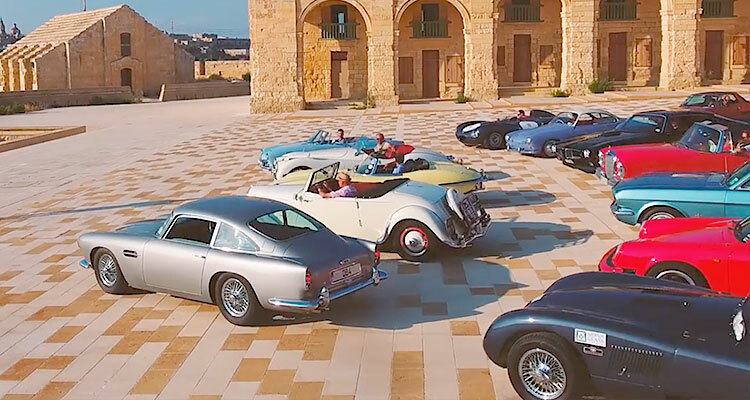 On Friday, 7th October the Malta Classic Concours d’Elegance celebrates the power and beauty of classics in the heart of Mdina, where select car collectors are invited to unveil their historic cars. Entertainment, period dress and refreshments add to the delight of visitors. On Saturday, 8th October the challenging circuit outside Mdina’s fortifications awaits during timed drives that determine the starting order of Sunday’s grid. On Sunday, 9th October the thrilling races begin, as the unforgiving nature of the Malta Classic Grand Prix circuit brings out the very best performances by car and driver. The weekend draws to a close with an awards ceremony hosted at the Corinthia Palace Hotel and Spa. Saturday: 8am to 5pm, Note: 09:15am First car out for Practice Run. Sunday: 8am to 4pm, Note: 9:30am Race officially starts. For more information visit the Malta Classic website.